that we should nurture our personal relationship with Jesus Christ through intentional prayer, study of God’s Word and worship. that Jesus died for all sinners. 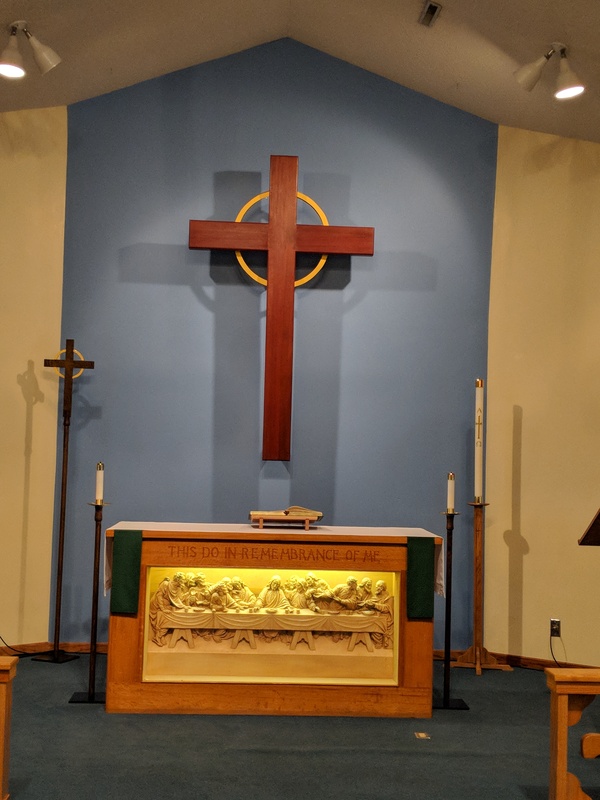 All are welcome to worship with us. in the sanctity of life which begins at conception. in the sanctity of marriage between a man and a woman. reaching out to our church, community and world through missions. Living Word Lutheran Church held their dedication worship service August 22, 2010 after the members voted to leave the ELCA July 11, 2010. Living Word originally rented a fully equipped former Presbyterian Church and in November 2012, Living Word purchased a former Evangelical Free Church facility and moved into that facility in February 2013. The purchase made available considerably more space, parking and ample room to grow. Living Word is located in Seward, NE approximately 25 miles west of Nebraska’s capitol, Lincoln. Seward is a thriving community of 7,000 people having increased about 500 people since 2010. Concordia University is located in Seward, along with an excellent public school system. St. John’s Lutheran school, a K-8 school, is also located in Seward. The Seward area is basically agriculture and has several large manufacturing entities adjacent to Seward. There is a large contingency of people in Seward that work in the Lincoln community area and a number of people working in Seward live outside the Seward community. Seward has excellent medical facilities including a modern hospital (top twenty in the nation two years running for critical access hospitals) along with a number of doctors and an urgent care facility. Ample shopping, restaurants and fast-food entities are available locally.